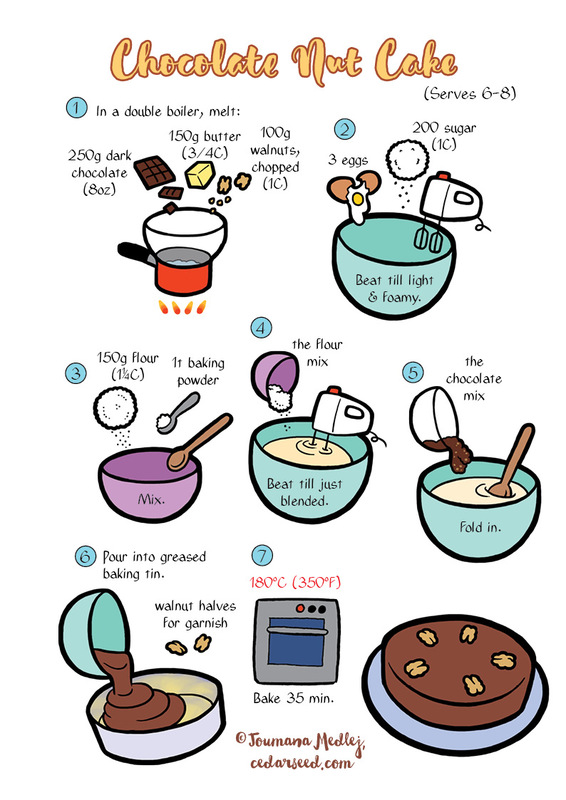 A lovely and foolproof cake recipe for last-minute needs. I expect substituting pecans or almonds would yield an equally interesting result! For the double boiler, I use a heatproof mixing bowl placed over a small saucepan half-filled with water.